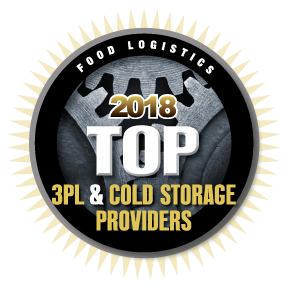 PRESTON, MARYLAND—August 16, 2018 — Choptank Transport has been named to Food Logistics 2018 Top 3PL & Cold Storage Providers list. Food Logistics is the only publication exclusively dedicated to covering the movement of product through the global food supply chain. Choptank Transport is a leading third-party logistics provider specializing in nationwide truckload services (temperature-controlled and dry), LTL (temperature-controlled and dry), as well as flatbed, intermodal and container shipping. Choptank is headquartered in Preston, Maryland, and has additional offices in Baltimore, Tampa, Dallas, Denver and Atlanta.